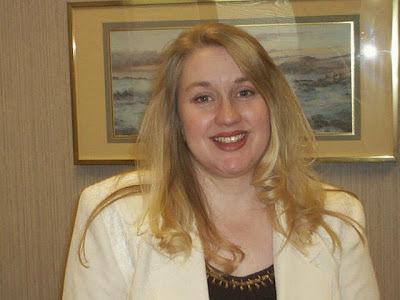 The Un-Official Blog of Romance Author Maddie James: Gayle Trent and Murder Takes the Cake! As we continue author week, I’m excited to bring an interview with Gayle Trent as part of the Wow! Women on Writing blog tour. I want to thank Wow! for allowing Life, Unedited to be part of the tour and look forward to the possibility of future participation. 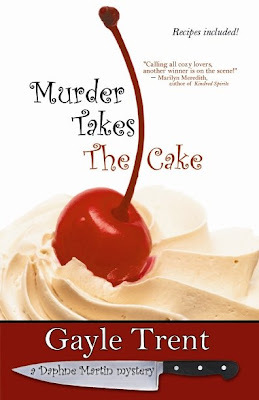 I was excited to read Murder Takes the Cake and found it delightful and intriguing at the same time. I loved learning more about Gayle, her new book, and her publisher during the interview. Be sure to visit her website and links below, including her snappy book trailer for Murder Takes the Cake! So, here’s Gayle. Please welcome! GT: MURDER TAKES THE CAKE tells the story of Daphne Martin, a forty-year-old divorcee who returns to her fictional hometown of Brea Ridge, Virginia to start her life over. She has left behind an ex-husband who is in prison for an attempt on Daphne's life, a dingy apartment and a stale career. She has started fresh in a new home with a new career, Daphne's Delectable Cakes, a cake-decorating company Daphne runs out of her home. She is thrilled to be living closer to her beloved niece and nephew, although being close to other family members brings up lifelong resentments and more than a couple complications. Daphne is also reunited with childhood friend, Ben Jacobs, a full-fledged HAG (hot, available guy). Then Daphne finds her first client dead. GT: Belle Books, the publisher of the popular Mossy Creek series and other Southern fiction books, has branched out to include Bell Bridge Books, a home for fantasy, science fiction and additional Southern fiction. I had worked with Belle Books on BLESSINGS OF MOSSY CREEK. Deborah Smith e-mailed me in June to say they had added the subsidiary and wondered if I or anyone I knew had any promising Southern fiction to submit. I sent her MURDER TAKES THE CAKE. MJ: What do you love about your editor? GT: I love that Deborah is so open to new ideas and that she is so supportive. She sends me reviews and website addresses that might interest me, and she lets me know about promotional ideas. GT: Keep writing and keep learning through studying other writers' work. When you read other writers' work with a student's eye, you can see differences in pacing and technique and compare them to yours. You can then experiment with your own writing to see how slowing or speeding up the pace would affect your story. See how other writers handle areas you consider yourself to be weak in. GT: I enjoy interacting with readers. This blog tour has been terrific, and I'm part of a group blog called Fatal Foodies. My post day is Friday. Prior to Halloween, I suggested to my fellow bloggers and people in my online writing groups that we have a Trick-or-Treat for readers. On Halloween, readers visited the blog and clicked on our individual links to receive "treats." Readers were privvy to special posts and contest giveaways. It was great fun. MJ: If you could interview any of the characters in your books, which one would it be, and why? What shocking thing might that character say? GT: If I could interview any of the characters in MURDER TAKES THE CAKE, it would be either China York or Myra Jenkins. I had a lot of fun with those characters, and I'd love to hear more about them. As for what shocking things they may say, I suppose I'll have to find that out as the series progresses. They'll be back!